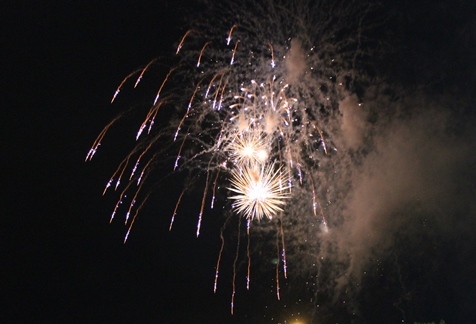 Fireworks safety tips offered – Welcome to Wyandotte Daily! For those who will shoot fireworks on the Fourth of July, a happy holiday depends on following some safety tips. The Kansas City, Kan., Fire Department is offering these safety tips, in conjunction with the Heart of America Metro Fire Chiefs Council. Fireworks may be sold from June 29 through July 4 in Kansas City, Kan., and fireworks may be discharged between 9 a.m. and 11 p.m. from July 2 to 4. •	Light fireworks one at a time and wait until it discharges, never attempt to re-light a device that did not discharge the first time it was lit. If you get burned from fireworks, remember the do’s and don’ts of burn care. If the injury is severe, call 911 immediately for emergency medical care. •	Cool a burn by flushing with water. •	Cover the burn with a dry, clean covering. •	Keep the victim comfortable and from becoming chilled or overheated. •	Apply ice directly to any burn. •	Touch a burn with anything except a clean covering. •	Remove pieces of cloth that stick to the burned area. •	Break blisters or use any kind of ointment on a severe burn. A spokesman for the Kansas City, Kan. Fire Department and the Heart of America Fire Chiefs Council said they wish all Greater Kansas City metropolitan residents a safe and happy Fourth of July. For more tips and information, contact the fire department or visit http://www.nfpa.org/safety-information/for-consumers/holidays/fireworks. 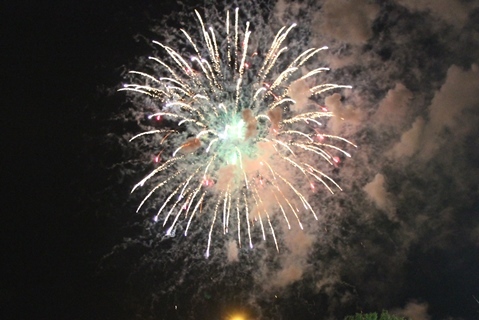 Next Next post: Fireworks displays in Kansas City, Kan.